Relax hard working hands with the Nourish, Breathe & Calm Hand Balm from NEOM’s Scent To Instantly De-Stress™ collection. Designed to hydrate fatigued hands, the nourishing balm leaves skin ultra-soft, whilst boasting a comforting scent. The luxurious hand cream comprises a natural fragrance that combines pure essential oils. Enriched with a blend of French Lavender, Jasmine and Brazilian Rosewood, the skin-loving formula envelops skin in a calming aroma that banishes feelings of stress. The balm is complete with a hydrating combination of Shea and Cocoa butter, which quench skin’s thirst and leave hands smooth. Un soin profondément calmant dans le creux de vos mains. Réchauffer une noisette du baume entre les mains avant de le masser pour faire pénétrer dans la peau. Couvrir le nez et la bouche avec les mains. Inspirer par le nez pendant 7 secondes et expirer lentement par la bouche pendant 11 secondes. Pour une dose supplémentaire de parfum ultra-calmant, vaporiser une giclée de Brume De-Stress à Emporter. Aqua (Water), Helianthus Annuus (Sunflower) Seed Oil, Butrospermum Parkii (Shea) Butter, Glyceryl Stearate, Theobroma Cacao (Cocoa) Seed Butter, Cera Alba (Beeswax), Glycerin, Sodium Stearoyl Glutamate, Sucrose Stearate, Parfum*, Coco-Glucoside, Aloe Barbadensis Leaf Juice Powder, Olea Europaea (Olive) Fruit Oil, Linum Usitatissimum (Linseed) Seed Oil, Tocopherol (Vitamin E), Coconut Alcohol, Xanthan Gum, Lactic Acid, Dehydroacetic Acid, Benzyl Alcohol, Limonene, Linalool, Citronellol, Geraniol, Eugenol, Farnesol, Citral, Coumarin, Benzyl Benzoate, Benzyl Salicylate. 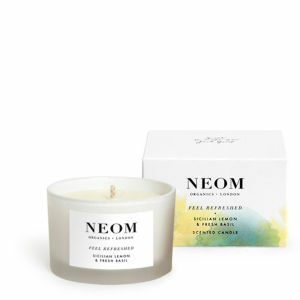 *Made with 100% natural essential oils including Lavender, Jasmine & Brazilian Rosewood.